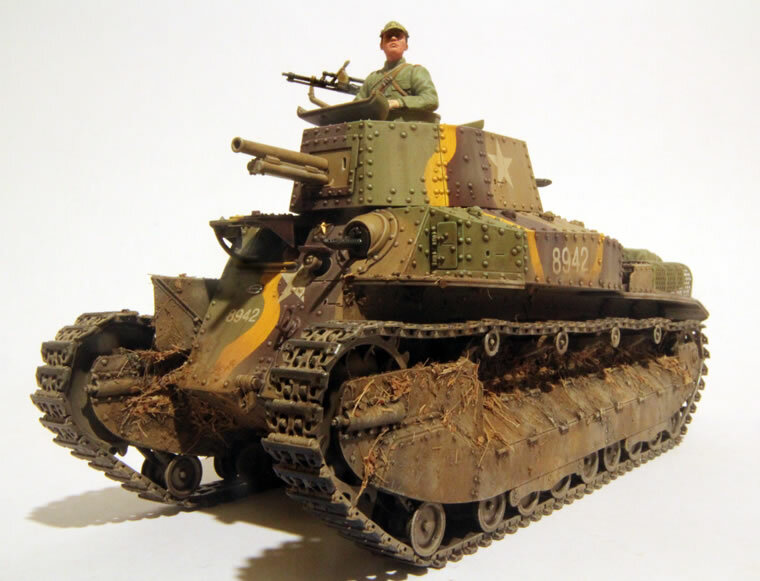 Fine Molds has already released kits of most of the World War II Japanese tank arsenal, but they were missing the “grand-daddy” of them all, the Type 89. 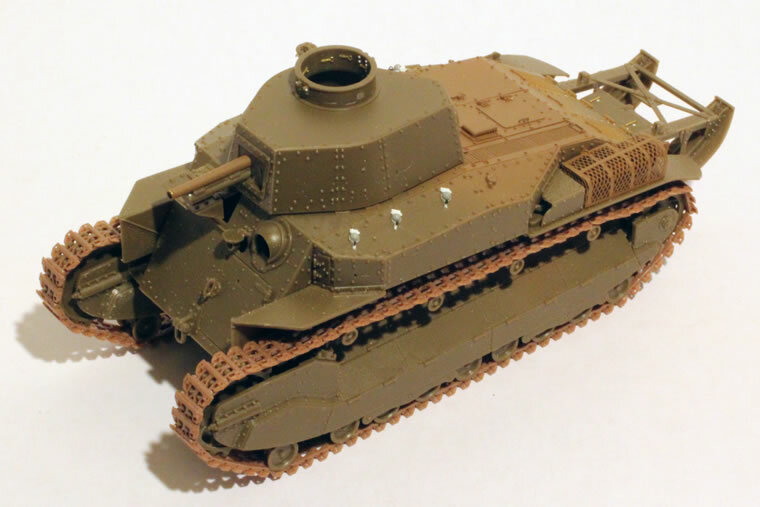 Instead of a conventional release, they teamed up with the Japanese tank modeling magazine “Armour Modelling” to release it as a part-work in the Nov-Dec 2010 and Jan 2011 issues. Fortunately, Hobby Link Japan is offering this as a package deal for about US $95.00 which translates to about $120.00 when air mail postage to the States is added in. 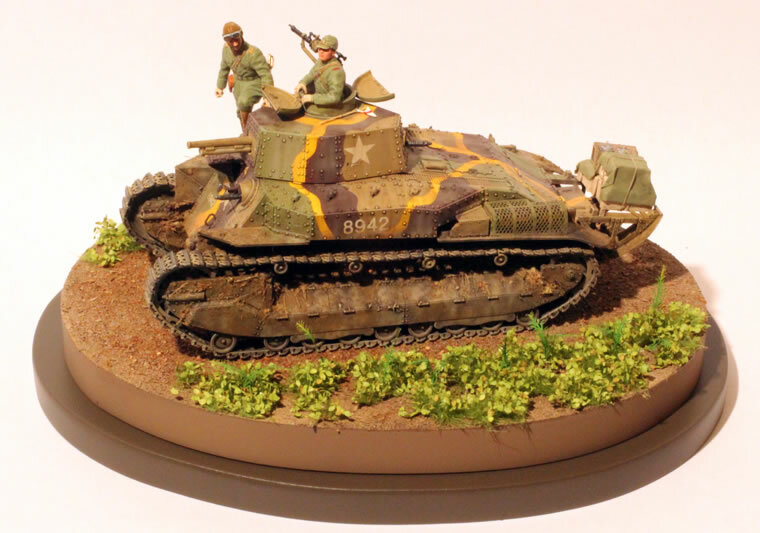 This is a bit pricey for a kit, but most Fine Mold medium tanks retail for about $70.00 in the US. The accompanying magazines are quite nice with a fair amount of new reference material, and HLJ throws in a set of Masterbox Japanese infantry figures. I especially liked the magazine material about Japanese tanker uniforms, and the several of the articles on built-up models were very impressive. It’s also a bit less painful than the price on Japanese resin kits! As if I hadn’t abused the credit card enough, I also bought a set of Model Kasten Type 89 individual link tracks, the new Model Kasten figure set for the Type 89, and the Fine Molds PE upgrade set. As pointed out by Akira “Taki” Takizawa on the Japanese forum on Missing Lynx, the kit represents the final 1938-39 production batch since it is based on the preserved Type 89 in Japan. This was a fairly rare type (<40 built), and it pretty much limits the markings options to the 3rd Tank Regiment in Manchuria. This is fine if you want to do the 1939 Nomonhan clash on the Manchurian border with the Red Army, but not so hot if you want to do it in the markings of the 7th Tank Regiment on Luzon in January 1942 which was my intention. 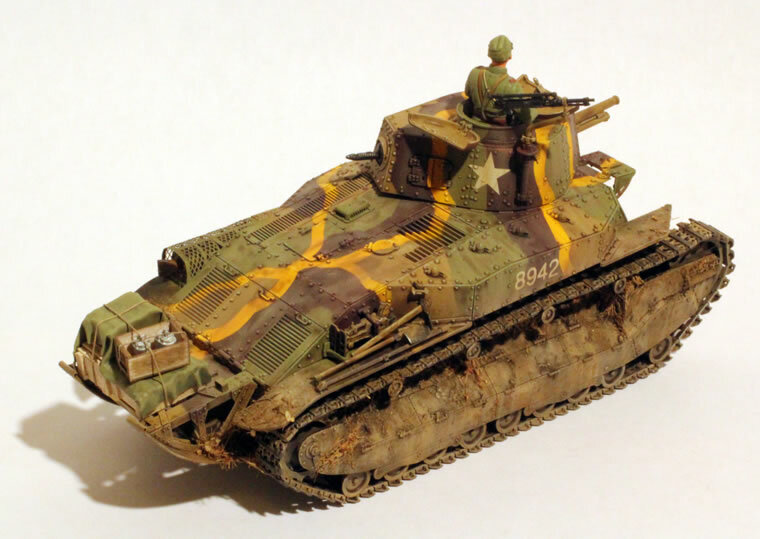 The decals cover one of the 3rd Tank Regiment tanks, and it does offer the possibility of a diorama with the Tamiya BT-7. The Aberdeen Proving Ground Type 89, a Philippine veteran, provides reference for the more typical production variant. The main change is the engine deck, which is not terrible for modelers with some conversion experience. Overall, the kit is quite good. The fit was generally excellent, and the detail is superb. I would strongly recommend the Fine Molds PE upgrade set which also includes a turned brass barrel, as the baseline kit has the mesh muffler cover in solid plastic. Yuk! The only weak bit of the kit is the interior details. There are no interior details on the cupola inner walls, and the front driver’s hatch misses some of the obvious details. 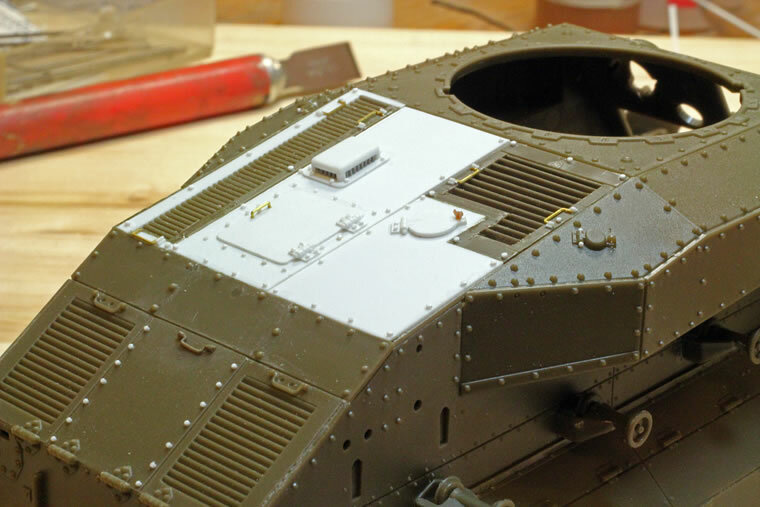 The Armour Modelling magazines provide good detail shots of the driver’s hatch, but details of the cupola interior are lacking. 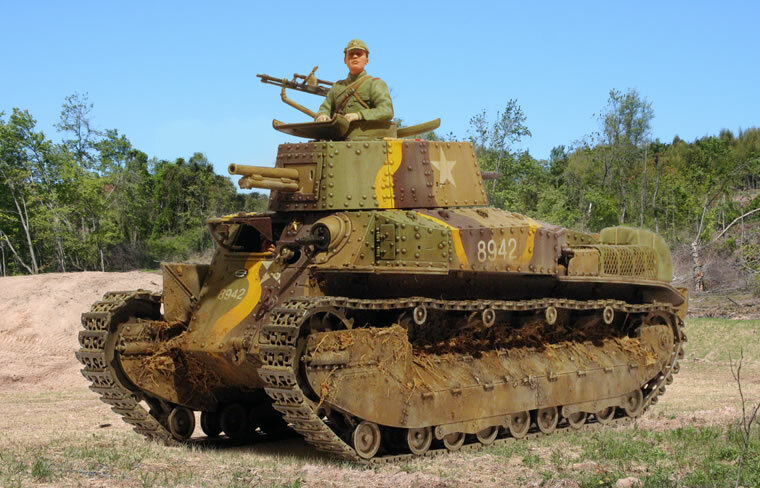 Overall, this is an excellent kit of an interesting tank. Whether we see this released as a more conventional kit through model stores is a bit of a mystery.